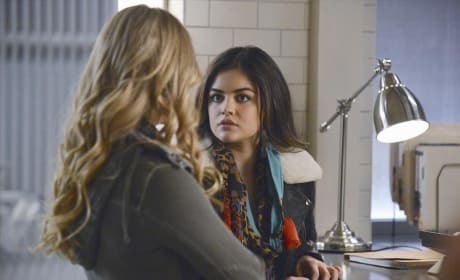 Will Ezra Reveal A's Name? 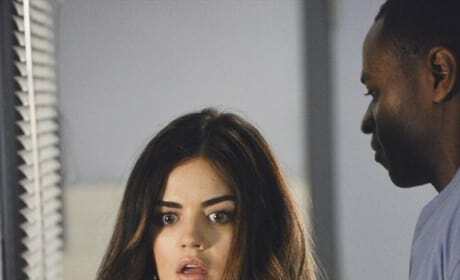 We all want Ezra to reveal A's name, but what are the odds? Find out on "EscApe From New York." 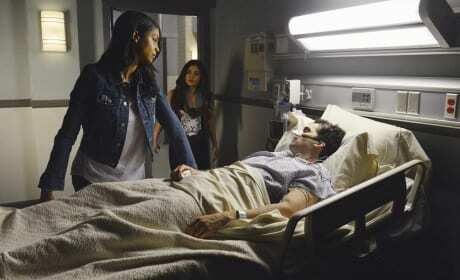 Ezra starts to speak to Aria after surgery in "EscApe From New York." 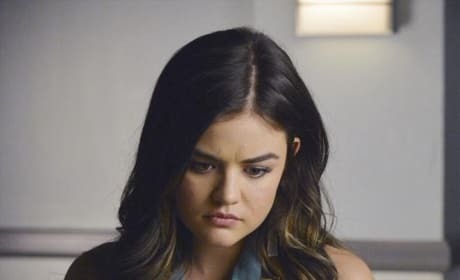 Aria cares for Ezra and waits for him to wake after surgery in "EscApe From New York." 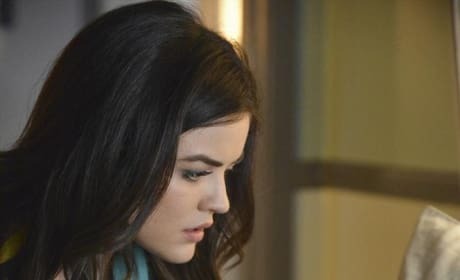 Aria is ushered out of Ezra's room in this photo from "EscApe From New York." 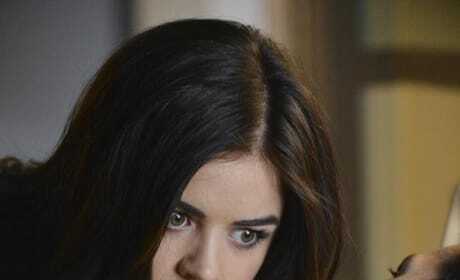 Will Aria be surprised to find Shana visiting Ezra? This is a photo from "EscApe From New York." 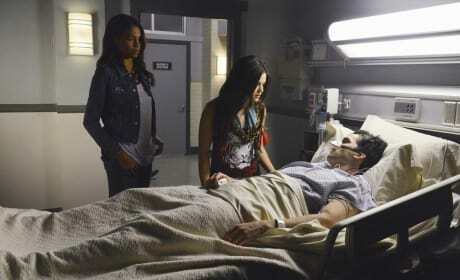 Shana and Aria wait for Ezra to wake up in this photo from "EscApe From New York." 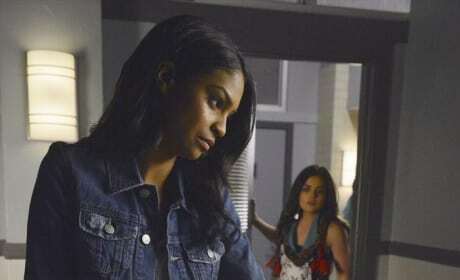 Shana returns to Pretty Little Liars and visits Ezra in the hospital on "EscApe From New York." 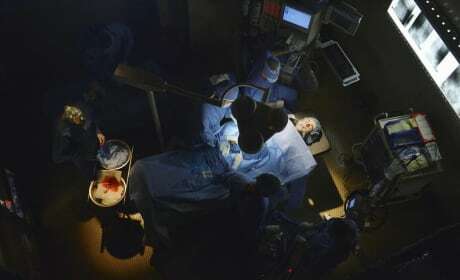 The doctors fight to save Ezra on "EscApe From New York." 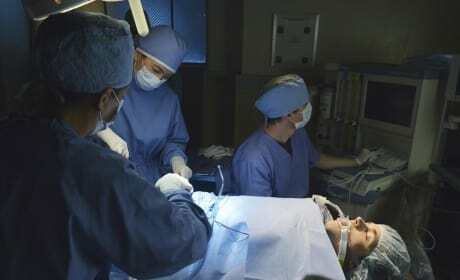 Ezra is in surgery in the Season 5 Premiere of Pretty Little Liars "EscApe From New York." 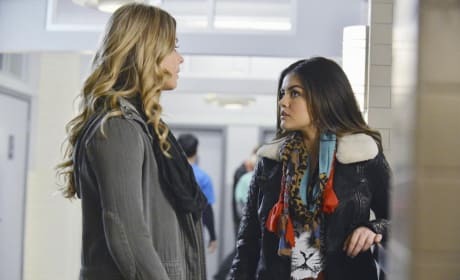 Another shot of Ali and Aria at the hospital awaiting news of Ezra's fate in the Pretty Little Liars Season 5 Premiere "EscApe From New York." 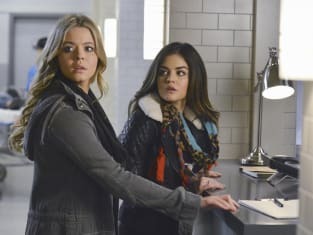 Aria and Ali wait for news on Ezra's fate in "EscApe From New York." 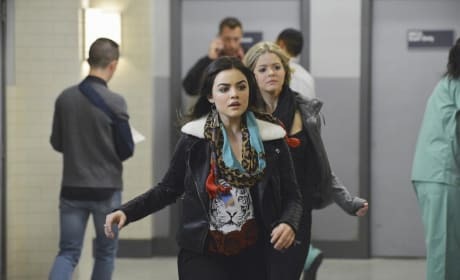 Aria and Ali run through the hospital toward Ezra in "EscApe From New York."